Encaustic paint and watercolor on Clayboard, Diptych, each panel 5 x 3 inches. 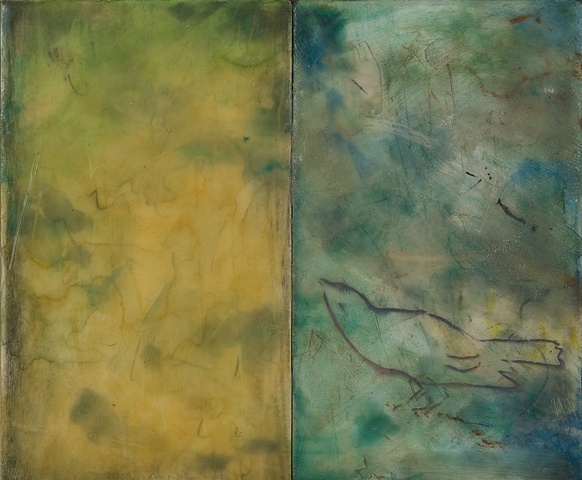 Left panel features unbleached beeswax, right watercolor, encaustic paint. Framed in elegant German silver metal frame.